It may come as something of a surprise to many observers, but during 2012, Mexico’s state-owned oil company Pemex (Petróleos Mexicanos) has received several well-deserved plaudits for its efforts to slash the emissions associated with oil and gas exploration, reserves and production. For the fifth consecutive year, the Global Reporting Initiative awarded Pemex the highest possible rating for social responsibility. The company also received excellent ratings for sustainable asset management. During 2011, Pemex’s proven reserves increased 1.1%, while the petro-giant cut total emissions by 17.3% compared to the previous year. Crude oil output averaged 2.55 million barrels a day in 2011. Carbon dioxide emissions were down 8.8% in 2011, while sulfur oxides have now fallen more than 50% since 2007. Meanwhile, the production division of Pemex has been praised by World Bank experts for having reduced burn-off from its giant Cantarell gas field from 31% in 2008 to 3% in July 2011. Pemex has invested more than 1.6 billion dollars in the Cantarell field over the last six years in order to improve efficiency, with the installation of compressors, flow separation devices and re-injection technology. In the past three years, it has reduced total emissions, including greenhouse gases, from 13.6 billion cubic meters a year to 2.1 billion. 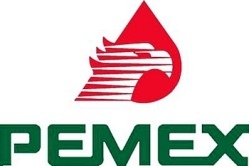 Pemex is well on track to beat its target of 99% efficiency in gas recovery by 2014. Crude oil production has risen steadily in 2012. For example, in August 2012, Pemex produced 2.56 million barrels of oil a day (b/d), its highest output since May 2011. The Chicontepec field in Veracruz is doing especially well. Its single best-performing well, named Presidente Alemán 1565, uses innovative technology, including three dimensional seismic mapping and horizontal drilling, to yield as much as the combined output of 28 other wells in the region. Mexico’s current 3P (proven, probable, possible) reserves are also on the rise, and currently total 43 billion barrels of crude oil equivalent. After years of depletion, Pemex is now adding more oil and gas each year to its reserves than it is extracting. The oil giant recently announced a huge deep water, light crude discovery in the Gulf of Mexico, off the coast of Tamaulipas, its first major find in the Perdido Fold Belt, where the total 3P reserves could be as high as 10 billion barrels. The Trión-1 well, drilled to a total depth of 4,500 meters (14,800 feet), is 40 km (25 miles) inside Mexico’s territorial waters and is expected to yield up to 400 million barrels of high quality crude. Pemex also recently reported the largest land-based discovery of oil for about a decade. The Navegante-1 well, drilled in the South-East Basins 20 km from Villahermosa (Tabasco) found light crude oil with an APR gravity of 45 degrees, at a depth of 6800 meters. The field is 87 square kilometers in area and has estimated 3P reserves of about 300 million barrels of crude oil equivalent.